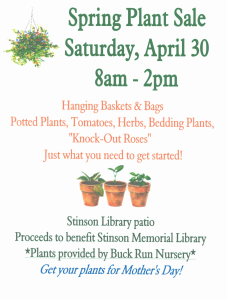 [Completed] Spring is blooming and so is the library– Mother’s Day program and Spring Plant Sale! 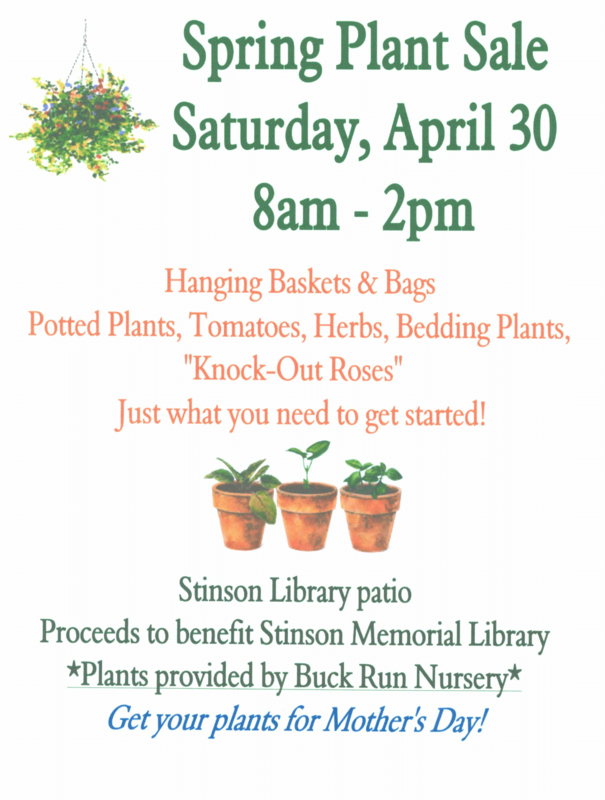 Saturday April 30th, The Friends of Stinson will be on our back patio with beautiful flowers, tasty herbs and tomatoes, and many more potted plants! 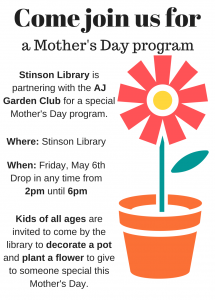 Friday May 6th, we will have a Mother’s Day program! 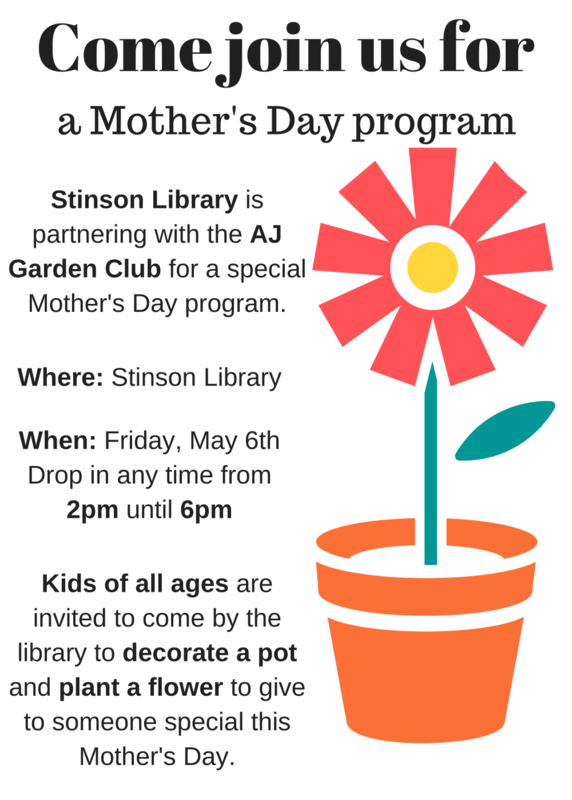 Kids can come to the library to plant a flower, paint a pot and give a mother you love something beautiful!! This entry was posted in Announcements, Completed, Event by Thomas Sisler. Bookmark the permalink.